Roses have often been referred to as the “Queen of the Garden” for their versatility and popularity around the world. 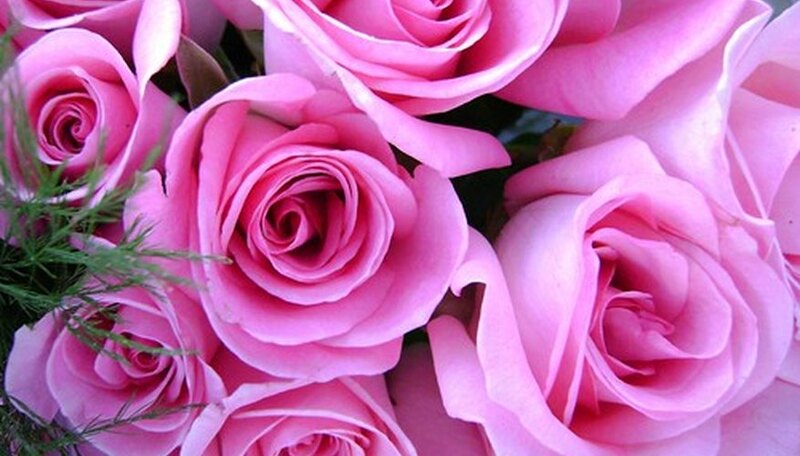 The Chinese have been cultivating roses since 2000 B.C,. and they figure prominently in their artwork. With more than 11,000 varieties of roses available, there is a rose capable of growing in almost any climate, although the commercial grower will usually stick with the approximately 120 varieties known to produce uniform, consistent-growth flowers. Most commercial rose growers are located in a temperate climate and will usually choose to grow the majority of their roses in large outdoor beds, while the more delicate varieties are grown in hothouses. One commercial grower, located near Watsonville, California, grows 17 acres of roses via hydroponics, using coconut and perlite as the growing medium. The number of commercial rose growers has fallen from a high of more than 500 in the 1980s to its present low of 30 growers, mainly because of stiff competition from Columbia, Ecuador and other Latin American countries that provide approximately 90 percent of the cut roses used in the United States. The commercial rose growers in the U.S. are finding a niche market for exceptionally high-quality roses and are concentrating on that market. While the use of roses for cut flowers is the largest market segment, they are also commercially grown for resale to home gardeners. There is an increasing call for roses from such diverse groups as the perfume industry; the food industry, which uses rose hips, the small fruit bud left when the flower loses its petals, for cooking; and from the manufacturers of rose oil that is used in the preparation of scented accents for the home, such as potpourri. Today's modern rose growers are experimenting with pest and disease control beyond standard insecticides using environmentally friendly controls such as ladybugs and other insects that will eat the fungus and other insects that attack the roses. These natural killers are usually economically viable when used in a greenhouse. By far the most popular use for roses is in a wedding. Roses are suitable for a bride's bouquet, no matter how casual or formal the wedding. It is becoming increasingly popular to use rose petals, not just for the aisle which the bride walks down, but also strewn on the tabletops and used in potpourri sachets as gifts for the guests. As it has been for years on end, red is still the most popular color for a bride's roses, closely followed by white.